AIRBRUSHES There are 25 products. 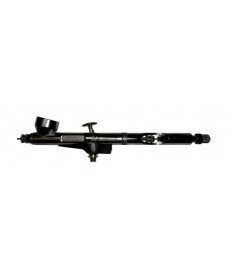 XTREME PATRIOT ARROW AIRBRUSH with needle juice INCLUDES : Royal Mail next day recorded. BADGER XTREME PATRIOT 105 AIRBRUSH with free needle juice INCLUDES : Royal Mail next day recorded. BADGER 105-3N1 Patriot airbrush with all three needle/nozzle size set ups Includes Shipping : Royal Mail next day recorded. BADGER 105-1 PATRIOT AIRBRUSH with spare tip free needle juice Includes Shipping : Royal Mail next day recorded. 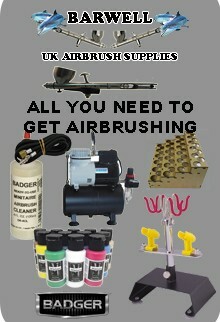 BADGER 105 PATRIOT ARROW AIRBRUSH with spare tip free needle juice Includes Shipping : Royal Mail next day recorded.